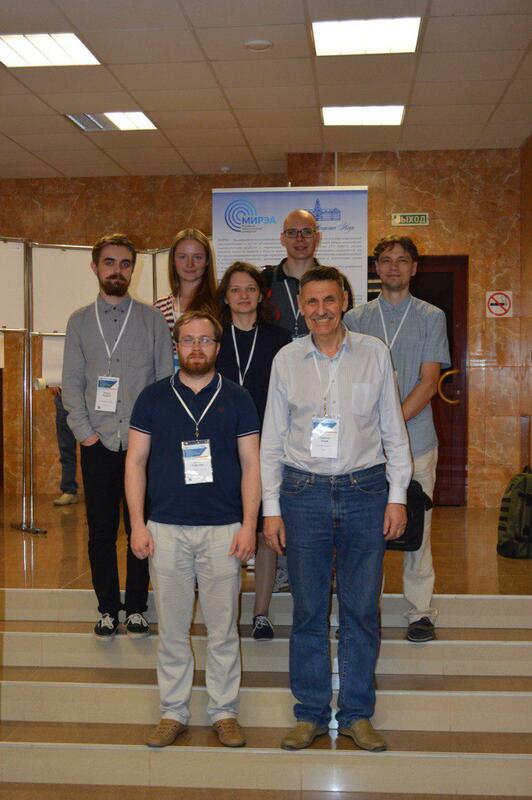 The delegation of 8 researchers of UCSU "Modern Nanotechnologies" took part in the European Conference on Applications of Polar Dielectrics (ECAPD-2018) with invited, oral and poster presentations. The conference was held on June 25 - 28 at the MIREA - Russian Technological University (Moscow). The main objectives of the conference were the setting of new ambitious scientific tasks, the establishment of new scientific contacts and the development of cooperation of scientists from different countries. Leading experts from academic circles, research institutes and universities took part in the conference. In addition, our scientists took part in the «Round Table» to discuss the creation of an international Association of Open World Laboratories and the main principles of the work of scientific centers that were members of this organization. 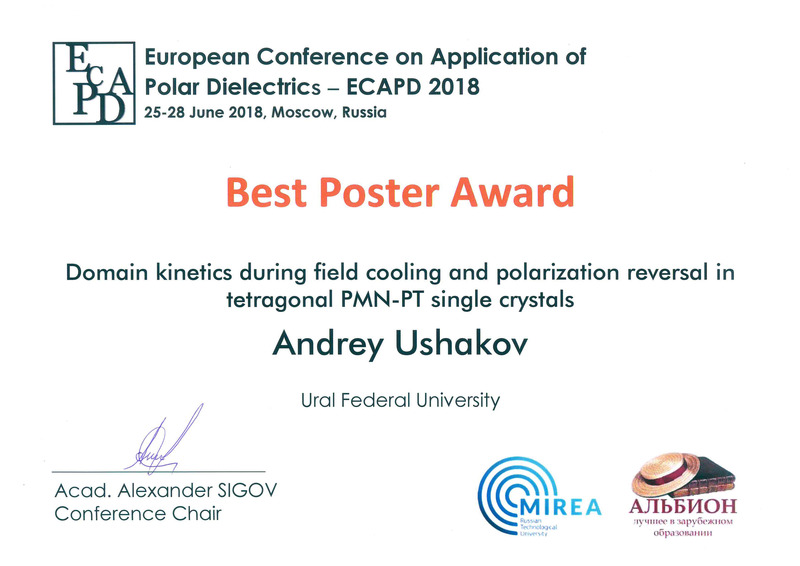 It is pleasant to note that our colleague Andrey Ushakov received an award for the best poster report «Domain kinetics during field cooling and polarization reversal in tetragonal PMN-PT single crystals».